This Spring, Inman is obsessing over helping you to tune-up your listings business with actionable insights, the best advice from top agents and hundreds of helpful stories from all over the world. Interested in sharing your advice and insights with us? Reach out to me at matthew@inman.com. 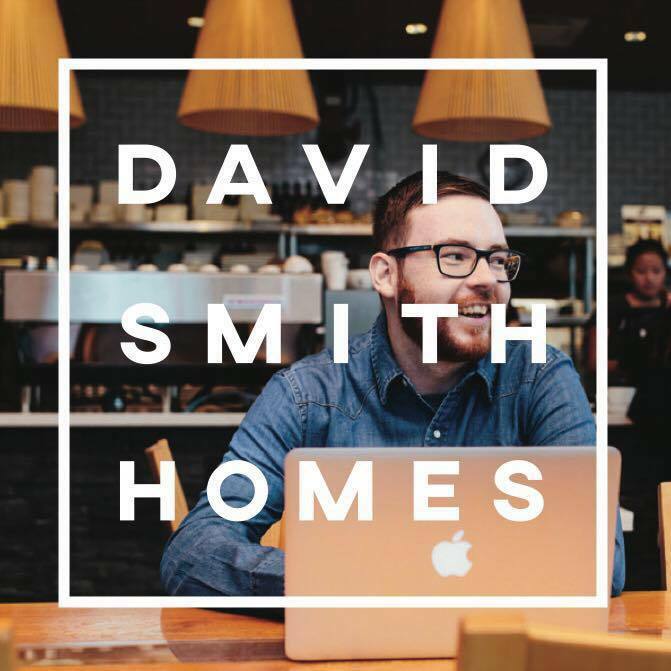 We recently had the opportunity to chat with David Smith, an agent out of Langley, British Columbia, Canada. David generously shared with us his perspective on how to win listings and how to work effectively with sellers, and he gave us some insights into what he does every day to keep his sales momentum going. 1. Get face-to-face or “belly-to-belly” with someone. I love hearing people’s stories, what makes them tick, what they’re passionate about, what their struggles are. The fact this occasionally benefits my business is a wonderful bi-product! In a crowded real estate environment, it’s easy for Realtors to become commodified, but our personalities are what really cause us to stand out — nobody can get a sense of who we are if we never sit down with them. 2. I do exactly what my google calendar tells me to do — every day. My schedule tends to develop in the days and weeks prior to the present, so I know each morning I just have to open it up, look at what’s there, and execute on it. I also record everything I do as I go, that way I can data mine my calendar to see what’s working and what’s not, both in my business and personal life. At all times, I can tell you how many family dinners and bedtimes I was home for that week, how many work hours I put in, what my weight was doing and how many steps I took daily, among a host of other metrics. Over time, this helps me track trends, both positive and negative, and allows me to tweak different elements of my schedule to better reflect where I’d like to be. 3. Not to get too “woowoo,” but I do attempt to meditate daily. I tend to be a bit of a people-pleaser and, in spite of my best efforts, I don’t always succeed. That can too often lead to disproportionate worry and anxiety. I’m a baby in this realm, and still depend on a few meditation aids, like the Calm App. After a few days of meditation in succession I notice a drastic improvement in my resiliency, which helps me continue to focus on the people in front of me in that moment, which is essential in this often stressful business. It was important to her that we acknowledge the fact that she had been able to care for her ailing husband until just a few days before he passed away, and she needed to hear if there was a way to market the property to a family in a similar situation. I had a couple creative ideas that could potentially identify such a buyer, and just this small effort to patiently listen and then thoughtfully respond seemed to make all the difference for the family. For the most part, our clients want to know less about our awards, marketing strategies and social media influence, and more that we will listen to them attentively and respond thoughtfully. As it turns out, treating clients this way tends to build appreciation and trust, which occasionally “drives referrals” — bonus! We’re in a very strong seller’s market up here in Metro Vancouver, with sales ratios often over 100 percent and an average time on the market of one week. In that environment, pricing at or slightly below market value is the ideal strategy as the best price will inevitably be reached in a competitive multiple-offer situation. Overpricing leads to the home potentially sitting on the market, causing unnecessary concern that there may be issues with the property or that the seller is unreasonable. It may eventually sell, but it will sell for less than could have been achieved by pricing at market value and driving the property into multiples. Most clients understand this reasoning, but some haven’t sold in a seller’s market before and are used to a buyer’s market with sale prices generally being lower than list prices. Such clients are often concerned they will “have to” accept an offer lower than list price, which simply requires some encouragement that they need not accept any offer, never mind one they are unhappy with. I usually come prepared with as many comparables and statistics as I can, and often “open up the back end of the MLS [multiple listing service]” on my laptop with the client to show them exactly what those comparables are and where the statistics are coming from. “Unrealistic expectations are just planned disappointments.” This is true both in life and real estate. I tend to be someone with very high expectations of myself and of others, and those expectations often cross the line into being unrealistic. Almost without fail when that happens, I am disappointed and even resentful at times toward others who fail to meet my unfair expectations. I’m very guilty of not heeding this advice, but when I do, it sure benefits me. In the real estate world, I remember one client who had been told she could achieve an entirely unrealistic price for her home. The night we signed an offer, which represented a record for the area, I asked her how she felt and her word was “disappointed.” This really saddened me, as we never want to hear that from our clients, but it was based purely on that original unrealistic expectation, and I had to comfort myself with the understanding that those unrealistic expectations were just planned disappointments. Making ourselves the center of attention. A significant portion of agents are naturally extroverted with more than a touch of narcissism, and I find myself in that breed. One way I’ve tried to combat the shadow side of that personality type is by finding other people and organizations I can wholeheartedly promote. Instead of constantly advocating for myself, I lean toward advocating for others — whether it be refugees, a local community kitchen, the brewery down the street or simply my clients. It’s not that difficult, it just requires us to look beyond ourselves and to become truly passionate about what others are trying to achieve. Sometimes this even means publicly celebrating another local Realtor for their advocacy work, and doing so without fear that it will somehow negatively impact our business. I’m so proud to serve alongside some Realtors in my community who are using their platforms to build schools in the Dominican Republic, organize fundraising music festivals, support women’s shelters and so much more. Some days when I’m feeling insecure or worried, this can be a discipline, but with practice it’s become one of the most fulfilling elements of my life and business. Want to connect with David? You can find him on Facebook, Instagram, Snapchat and YouTube.